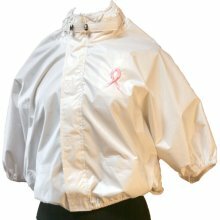 The SHOWER SHIRT Mastectomy Shower Shirt White,�Small/ Medium Item Description The SHOWER SHIRT not only protects the surgical incisions, drain portals sutured into the chest/armpits or torso, and the drain tubes/bulbs from getting wet while showering or bathing, it also supports the weight of the drains, tubes and bulbs. The SHOWER SHIRT is designed for use after any breast surgery requiring drains: lumpectomy, mastectomy, reconstruction, breast reduction, mastopexy (lift) or augmentation. The SHOWER SHIRT Mastectomy Shower Shirt White, Large/Extra Large Item Description The SHOWER SHIRT not only protects the surgical incisions, drain portals sutured into the chest/armpits or torso, and the drain tubes/bulbs from getting wet while showering or bathing, it also supports the weight of the drains, tubes and bulbs. Anti-microbial Water resistant Specifications Model No. : APSILXLW Shipping Weight (in pounds): 1. 0 Product in Inches (L x W x H): 12. 0 Assembled in Country of Origin: Imported Origin of Components: Imported . Slip into these wickedly woven sheer black flaminG++ hot costume tights by Boo! Inc. They add the final touch to any Halloween costume, theme party outfit, or costume contest entry. And when Halloween comes to an end, use them for role play, dress up, or cosplay. You're in for a spooktacular treat with these classic tights! These women's pattern tights are made with 100% nylon, no hocus pocus materials. Caught in a dark and a stormy night? Hand wash your tantalizing tights and hang them out to dry. With a 30" inseam, one size fits most. Slip into these wickedly woven black laced pattern costume tights by Boo! Inc. They add the final touch to any Halloween costume, theme party outfit, or costume contest entry. And when Halloween comes to an end, use them for role play, dress up, or cosplay. You're in for a spooktacular treat with these classic knee-highs! These women's pattern tights are made with 100% nylon, no hocus pocus materials. Caught in a dark and a stormy night? Hand wash your tantalizing tights and hang them out to dry. With a 26" inseam, one size fits most. Slip into these wickedly woven black spooky costume tights by Boo! Inc. They add the final touch to any Halloween costume, theme party outfit, or costume contest entry. And when Halloween comes to an end, use them for role play, dress up, or cosplay. You're in for a spooktacular treat with these classic thigh-highs! Slip into these wickedly woven black fishnet costume tights by Boo! Inc. They add the final touch to any Halloween costume, theme party outfit, or costume contest entry. And when Halloween comes to an end, use them for role play, dress up, or cosplay. You're in for a spooktacular treat with these classic thigh-highs! Slip into these wickedly woven black fishnet costume tights by Boo! Inc. They add the final touch to any Halloween costume, theme party outfit, or costume contest entry. And when Halloween comes to an end, use them for role play, dress up, or cosplay. You're in for a spooktacular treat with these classic tights! These women's pattern tights are made with 100% nylon, no hocus pocus materials. Caught in a dark and a stormy night? Hand wash your tantalizing tights and hang them out to dry. With a 31" inseam, one size fits most. Slip into these wickedly woven red fishnet costume tights by Boo! Inc. They add the final touch to any Halloween costume, theme party outfit, or costume contest entry. And when Halloween comes to an end, use them for role play, dress up, or cosplay. You're in for a spooktacular treat with these classic thigh-highs! These women's pattern tights are made with 100% nylon, no hocus pocus materials. Caught in a dark and a stormy night? Hand wash your tantalizing tights and hang them out to dry. With a 26"" inseam, one size fits most. Slip into these wickedly woven black bow opaque tights by Boo! Inc. They add the final touch to any Halloween costume, theme party outfit, or costume contest entry. And when Halloween comes to an end, use them for role play, dress up, or cosplay. You're in for a spooktacular treat with these classic thigh-highs! Slip into these wickedly woven white fishnet costume tights by Boo! Inc. They add the final touch to any Halloween costume, theme party outfit, or costume contest entry. And when Halloween comes to an end, use them for role play, dress up, or cosplay. You're in for a spooktacular treat with these classic thigh-highs! Slip into these wickedly woven white sheer red hearts costume tights by Boo! Inc. They add the final touch to any Halloween costume, theme party outfit, or costume contest entry. And when Halloween comes to an end, use them for role play, dress up, or cosplay. You're in for a spooktacular treat with these classic thigh-highs! Slip into these wickedly woven white opaque black hearts costume tights by Boo! Inc. They add the final touch to any Halloween costume, theme party outfit, or costume contest entry. And when Halloween comes to an end, use them for role play, dress up, or cosplay. You're in for a spooktacular treat with these classic thigh-highs! Slip into these wickedly woven white, opaque costume tights by Boo! Inc. They add the final touch to any Halloween costume, theme party outfit, or costume contest entry. And when Halloween comes to an end, use them for role play, dress up, or cosplay. You're in for a spooktacular treat with these classic thigh-highs! Slip into these wickedly woven pink fishnet costume tights by Boo! Inc. They add the final touch to any Halloween costume, theme party outfit, or costume contest entry. And when Halloween comes to an end, use them for role play, dress up, or cosplay. You're in for a spooktacular treat with these classic thigh-highs! 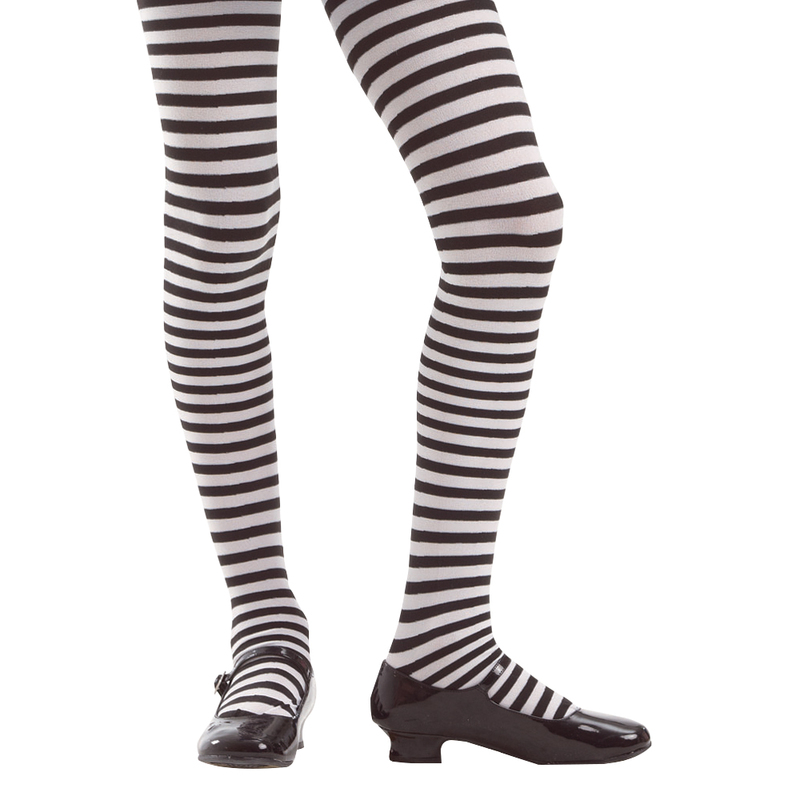 Slip into these wickedly woven red hearts striped pattern costume tights by Boo! Inc. They add the final touch to any Halloween costume, theme party outfit, or costume contest entry. And when Halloween comes to an end, use them for role play, dress up, or cosplay. You're in for a spooktacular treat with these classic thigh-highs! Slip into these wickedly woven striped skull & crossbones costume tights by Boo! Inc. They add the final touch to any Halloween costume, theme party outfit, or costume contest entry. And when Halloween comes to an end, use them for role play, dress up, or cosplay. You're in for a spooktacular treat with these classic thigh-highs! Slip into these wickedly woven checked pattern costume tights by Boo! Inc. They add the final touch to any Halloween costume, theme party outfit, or costume contest entry. And when Halloween comes to an end, use them for role play, dress up, or cosplay. You're in for a spooktacular treat with these classic thigh-highs! Slip into these wickedly woven white opaque costume tights with black bows by Boo! Inc. They add the final touch to any Halloween costume, theme party outfit, or costume contest entry. And when Halloween comes to an end, use them for role play, dress up, or cosplay. You're in for a spooktacular treat with these classic thigh-highs! Slip into these wickedly woven sheer spiderweb mid-rise costume tights by Boo! Inc. They add the final touch to any Halloween costume, theme party outfit, or costume contest entry. And when Halloween comes to an end, use them for role play, dress up, or cosplay. You're in for a spooktacular treat with these classic tights! Slip into these wickedly woven white sheer nurse costume tights by Boo! Inc. They add the final touch to any Halloween costume, theme party outfit, or costume contest entry. And when Halloween comes to an end, use them for role play, dress up, or cosplay. You're in for a spooktacular treat with these classic thigh-highs! Slip into these wickedly woven white & red nurse patterned costume tights by Boo! Inc. They add the final touch to any Halloween costume, theme party outfit, or costume contest entry. And when Halloween comes to an end, use them for role play, dress up, or cosplay. You're in for a spooktacular treat with these classic thigh-highs! These spooky-spirited tights will give all your friends a fright! These Boo! Inc. tights add the final touch to any trick-or-treating Halloween costume, theme party outfit, or costume contest entry. And when Halloween comes to an end, use them for dress up and play pretend all year round. You're in for a spooktacular treat with these classic tights! These girlG++s pattern tights are made with 100% nylon, no hocus pocus materials. Caught in a dark and a stormy night? Hand wash your tantalizing tights and hang them out to dry. Size medium inseam: 20". Size large inseam: 23". These girl's pattern tights are made with 100% nylon, no hocus pocus materials. Caught in a dark and a stormy night? Hand wash your tantalizing tights and hang them out to dry. Size medium inseam: 20". Size large inseam: 23". These spunky, punky knee-high tights will give all your friends a fright! These Boo! Inc. tights add the final touch to any trick-or-treating Halloween costume, theme party outfit, or costume contest entry. And when Halloween comes to an end, use them for dress up and play pretend all year round. You're in for a spooktacular treat with these classic tights! These girl's pattern tights are made with 100% nylon, no hocus pocus materials. Caught in a dark and a stormy night? Hand wash your tantalizing tights and hang them out to dry. Medium socks measure about 17" tall from heel to knee, 20" for large.